Use the same Email and Password from your Parental Board group to create your Boomerang Parental Control group. iOS devices continue to be free of charge. Once your Boomerang account is created, all active Parental Board licenses will be created under your Boomerang account. For example, if you have 2 active Parental Board licenses, your new Boomerang Parental Control group will have 2 new licenses. These new licenses will be good for one year from the day you created your Boomerang group. Hi, for over 3 years, our team has been hard at work on building a “product/market” fit with Parental Board. This also included creating a sub-brand, Boomerang Parental Board and aligning a safe browser with it, SPIN Safe Browser. Our team has made the decision to put even more energy and focus by combining all Parental Board users into our main product. Going forward, this allows us to better support you, provide an active social media presence and enable a larger community of parents that can share their stories on how a parental control app has helped their families manage and monitor their mobile technology. Does Boomerang Parental Control have the same functionalities as Parental Board? Absolutely – every single feature you’ve loved in Parental Board is already in Boomerang and we have an exciting roadmap of features that will be added to Boomerang going forward. I have a complex configuration for my child devices. How do I transfer to Boomerang? VIP Numbers and the Check-in Frequency settings will need to be update. These are available in the web dashboard, Parental Board and Boomerang. Does SPIN Safe Browser still work? Yes, SPIN Safe Browser works perfectly with Boomerang Parental Control. There’s nothing to re-configure. How long will you support Parental Board for? We do not plan to shut down Parental Board any time soon. 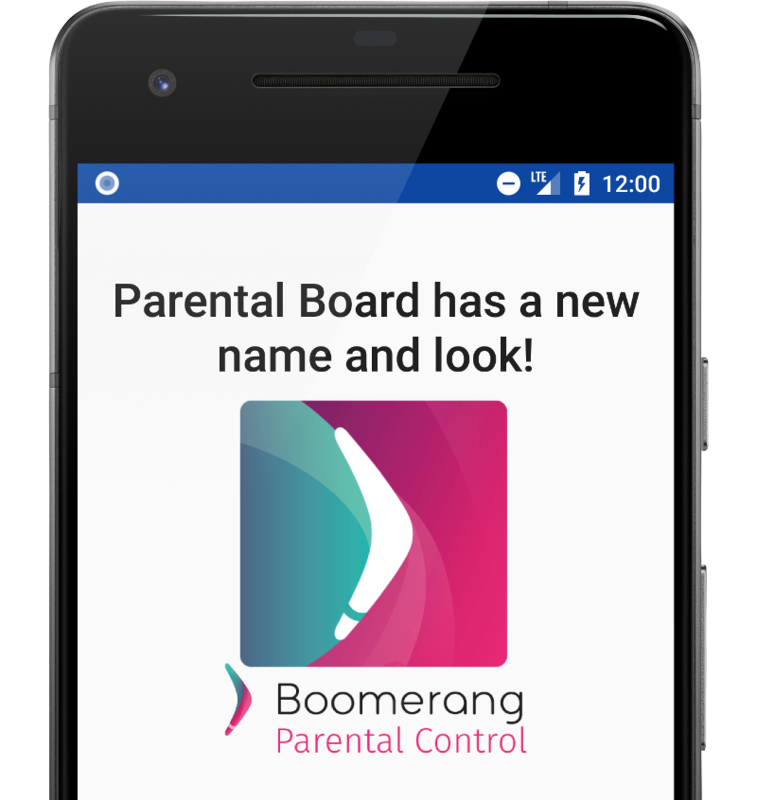 We will notify all of our current and previous Parental Board users first and make sure they have enough time to move over to Boomerang Parental Control. We will monitor the transition of our users and once we have the majority of them using Boomerang, we will make a decision on a deadline for Parental Board. Version 6.01 of Boomerang Parental Control is the last one to support Android 4.x devices (this is also true for Parental Board). Email our support team to get access to this version which will require you to “side-load” it on your family devices. Once downloaded, when you tap to open, you may be prompted to enable Installations from unknown sources – enable it for this installation. When referring to Android apps, “sideloading” typically means installing an application package in APK format onto an Android device. Such packages are usually downloaded from websites other than Google play, usually through a computer. Our support team is amazing – get in touch and we will help you with your move to Boomerang. Get social with us - Follow Boomerang on Social Media! © 2018 All right Reserved. National Education Technologies Inc.